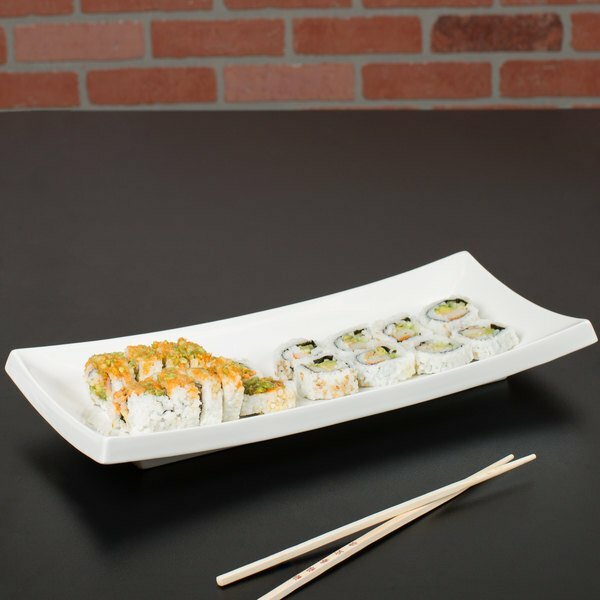 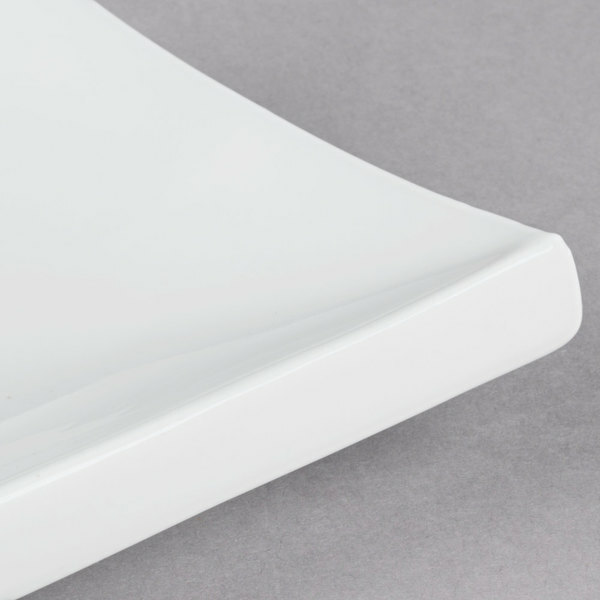 With its simple, yet graceful design, this CAC TOK-61 Tokyia 16" x 7" platter lets you imagine intriguing food displays at buffets or catered events. 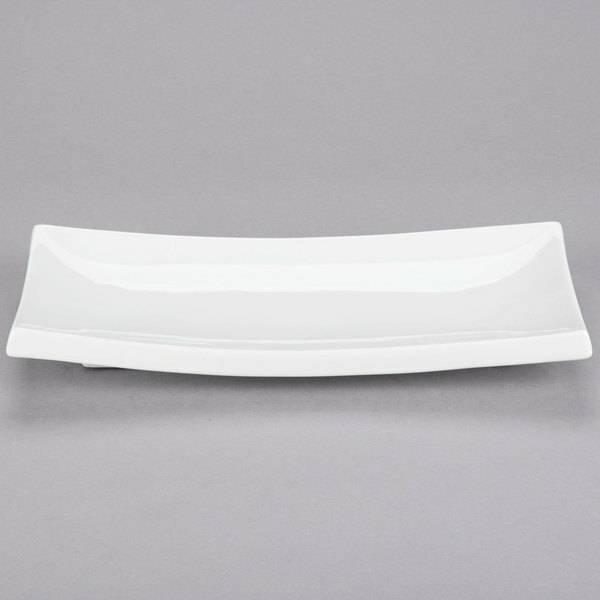 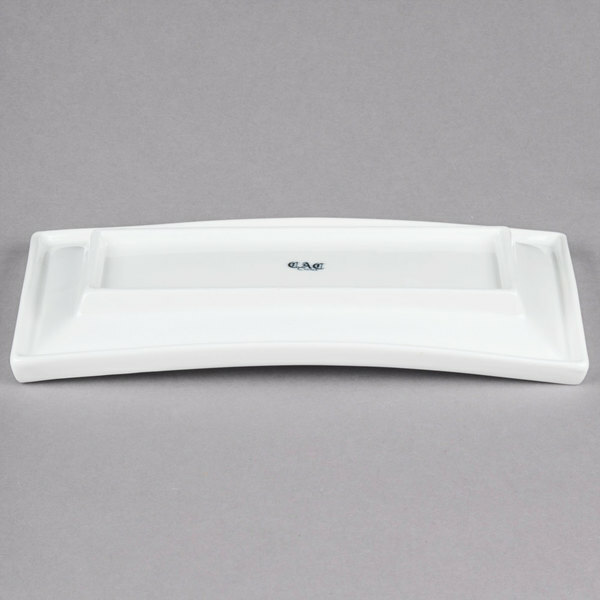 The simple design creates a versatile platter great for serving appetizers, entrees, or desserts. 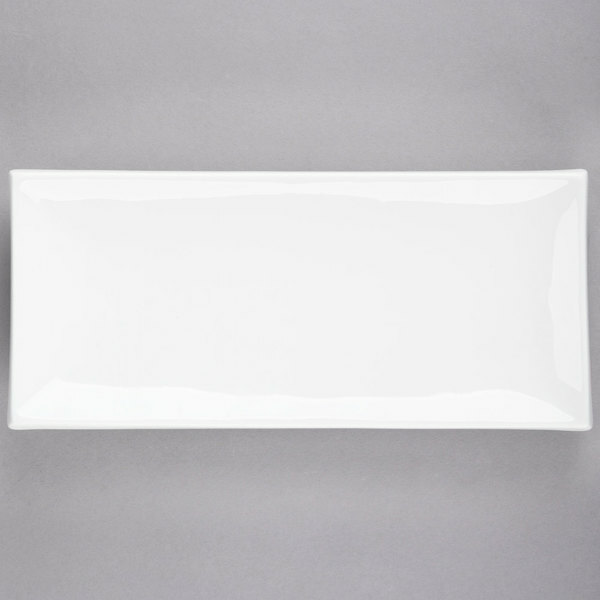 The gentle bone white coloring provides the perfect background to showcase your most creative dishes.